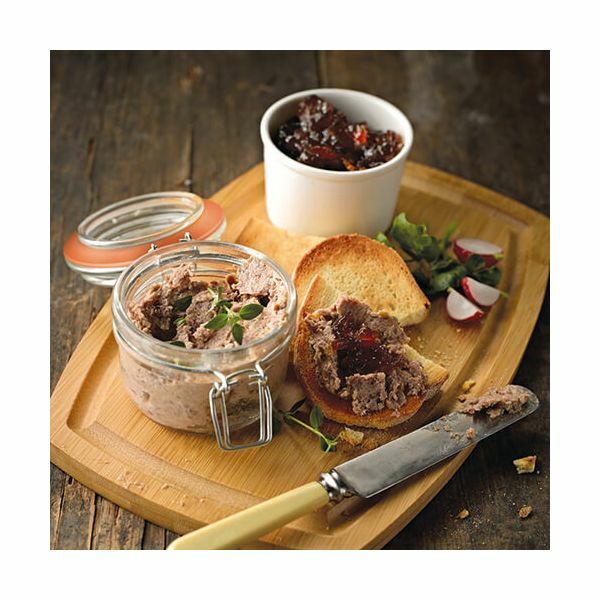 The Denby Gastro by James Martin features this serving kit which includes 2 x Bamboo Serving Boards, 2 x Mini Glass Kilner Jars and 2 x Ceramic Ramekins. Ideal for serving chutneys, side salads and delicious chilled desserts in style. 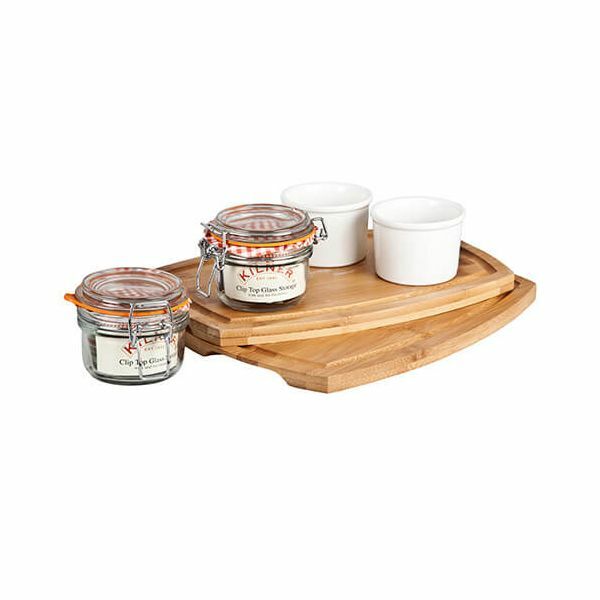 This Serving Set is fridge, freezer, microwave, oven and dishwasher safe (Bamboo Boards are hand wash only). 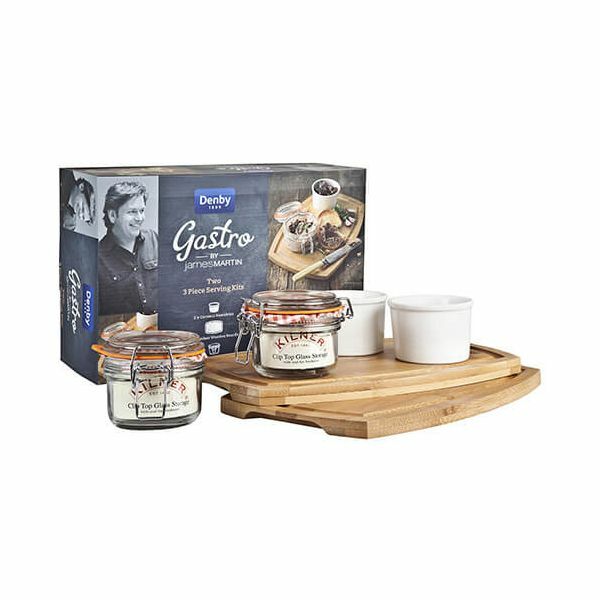 A great gift or addition to the Denby Gastro range by James Martin collection.